In 1487, when Edmund Duke of Edinburgh, aka the Black Adder, wanted to strike fear into the English royal court, and also the Spaniards, he called his valet to dress him in his Russian codpiece. Do I need to tell the young girls and boys in charge of war in Washington, DC, just how big the Russian codpiece was back then? Are they so mesmerized by its size today they believe the law is on their side when they try to strike back? If so, girls and boys, you have an unsavoury surprise coming – and I’m not referring to what will happen if the codpiece comes off. According to the ruling of the Supreme Court – that’s the highest court in the United Kingdom — last week’s attempt at sanctions on Bank Rossiya, and threats by the US Senate and White House of third-stage sanctions against other Russian banks and corporations, are likely to be ruled unlawful outside the US. If European companies of US corporations attempt to implement them – for example, Visa, Master Card, and Western Union — they are likely to face successful court challenges from London to Frankfurt. They will also trigger strike-outs, damages and penalties for any European government attempting to take orders from the US Treasury. 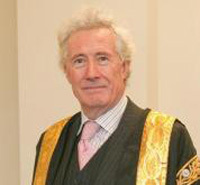 The Supreme Court judgement was issued by a 9-judge panel last June, and written for the majority by Lord Justice Jonathan Sumption (right). The case was on appeal by the Iranian international bank, Bank Mellat, against Her Majesty’s Treasury. Backed by the UK parliament, the Treasury had imposed sanctions to stop the Iranian bank’s business. This was based on American allegations that the bank was assisting the Iranian nuclear programme. The court said it didn’t doubt there was, as the British Government claimed, a “relevant risk” to the national interests of the UK if Iran was producing nuclear weapons. But the court judged there was no evidence to substantiate that Bank Mellat’s business posed such a risk; that the minority shareholding in the bank by the Iranian government added to the risk; or that sanctioning the bank by cutting off its UK and international business was lawful. 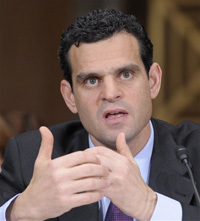 According to the majority of the Supreme Court, “the direction [for sanctions] was irrational in its incidence and disproportionate to any contribution which it could rationally be expected to make to its objective. I conclude that it was unlawful. ..I also consider that the Bank is entitled to succeed on the ground that it received no notice of the Treasury’s intention to make the direction, and therefore had no opportunity to make representations. The duty to give advance notice and an opportunity to be heard to a person against whom a draconian statutory power is to be exercised is one of the oldest principles of what would now be called public law.” – par 27-29. All that remains in the UK now is for Bank Mellat to obtain a court assessment of the financial damage inflicted over the four years the British sanctions were in place, October 2009 to June 2013. That will be at least $100 million, and maybe, with costs, interest, and penalties, more than $200 million. Across the Channel, the European Union (EU) has already ended sanctions against the Iranian bank. It is still attempting an appeal to the Court of Justice in Luxembourg to overturn the ruling of the General Court, which was issued on January 29, 2013. 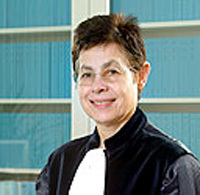 The EU’s General Court ruling was written by Czech Irena Pelikánová (right) on behalf of the chief judge, Küllike Jürimäe (Estonia), and Judge Marc van der Woude (The Netherlands). The EU court also condemned the failure of the EU ministers to provide genuine evidence, but instead to issue “mere allegations”. For the standard of reason, evidence, proportionality and due process already adopted in the courts of UK and Europe, Cohen is bound to have heard of the judgements in the Bank Mellat case. For the time being he’s ordering US corporations operating outside US jurisdiction to ignore them. 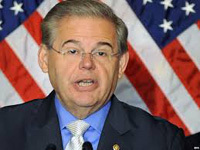 Senator Robert Menendez, chairman of the US Senate Committee on Foreign Relations, is also a lawyer by profession, though recently he has specialized, according to reported FBI investigations, in helping his constituents and friends evade sanctions for their business activities.